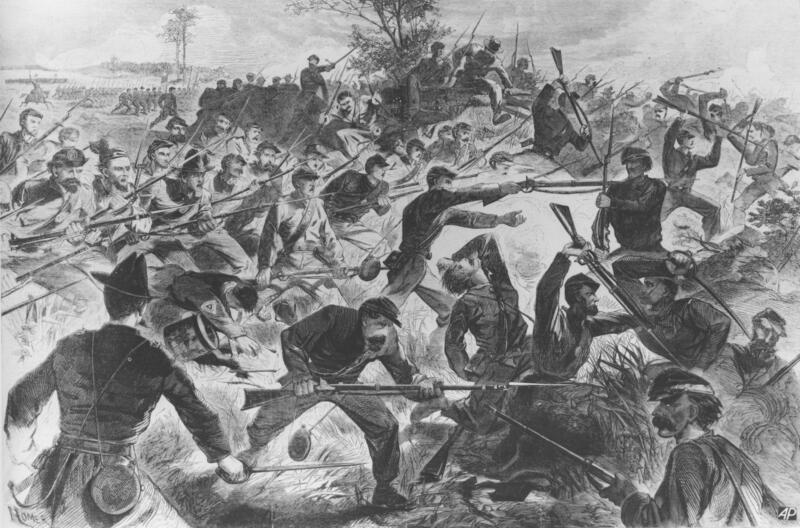 This engraving sketch by Winslow Homer depicts a battle scene of the American Civil War (1861-1865). Researchers at the University of Virginia are using some new data to learn about a very old subject: the Civil War. Recently digitized Census records are shining a new light on population data from the 1860's. “We do this for the 21st Century. I didn’t see any reason why we couldn’t do something similar for the 19th Century,” says Hamilton Lombard at the Weldon Cooper Center for Public Service at UVA. He crunched the numbers from the newly available records and found that the western reaches of Virginia had the most population loss. “Some counties populations were reduced by a third from what they should have been by the war. But some of the counties most impacted by the war didn’t have any major battles," says Lombard. Alleghany, for example, lost about half its population even though there were no major battles in the county. On the other end of the spectrum, parts of Virginia actually ended up gaining population because of the steady stream of refugees. “Two big areas where people moved to were the DC outskirts — what’s Arlington County today and Alexandria and a little bit of Fairfax — but also Hampton Roads," he says. Across the South, Texas and Arkansas were the most impacted by the war because they would have otherwise received a steady stream of settlers — including an estimated 200,000 people who would have left Virginia and headed west — if not for the war.